For the most important women of our lives, with countless sacrifices and her unwavering love for us, this Mother's day treat her to something sweet, something healthy and or course something from the heart, she deserves nothing but the best. To say that mothers deserve the best gift on a day dedicated just for them is an understatement. So, as we honor the only woman in our lives this Mother’s Day, we shouldn’t let cliché presents get in the way of expressing how much we appreciate and love our Moms. Why not surprise Mom on Mother’s Day with the gift of good health in a delectable and appetizing package? Fruits in Bloom takes gift-giving a notch higher by offering a heartier and healthier way to make celebrations more meaningful. Combining the artistry of flower arrangement with scrumptious gourmet fruit preparations, Fruits in Bloom provides presents that will both be pleasing to the eyes and appetites. 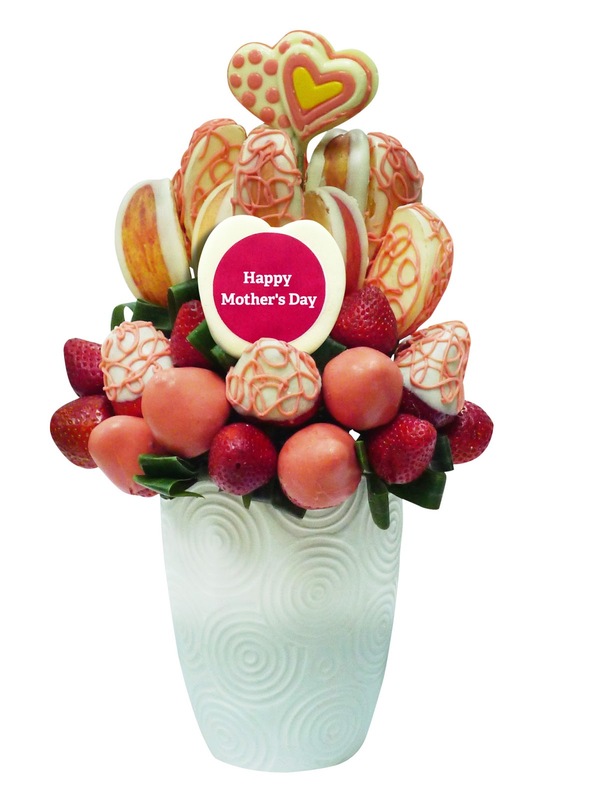 As a treat for Mothers’ Day, Fruits in Bloom is introducing two special designs – “Mommy” and “Mama” edible arrangements. Shower Mom with all the sweetness she deserves with a mouthwatering edible arrangement or chocolate dipped luscious and plump strawberries in 3’s, 6’s and 12’s. You can also come up with a delightful gift bag. Each bag has fresh fruits perfectly combined with either luxurious fruit jams, fruit-based tea, dried fruits, fruit chips or sparkling wine. So this Mothers’ Day, show how much you treasure your moms without having to break the bank. 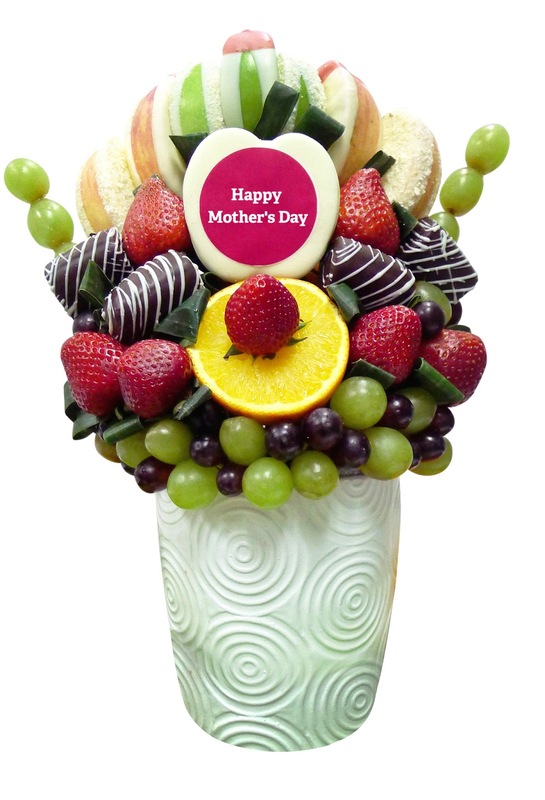 Get more creative with a gourmet fruit arrangement and tell her how you want her to be happy, healthy, and in your life for a long time. Personalize your Fruits in Bloom arrangements with a short and sweet dedication and splurge a little more to add wine or champagne. What’s more, every Fruits in Bloom arrangement can be delivered right at your doorstep for more convenience (within Metro Manila only). Mother’s Day Edible arrangements are priced at P1,500 and P2,500. Dipped Strawberries are from P350.00 to P1,200.00. For pre-orders and inquiries, Fruits in Bloom can be reached at 8120380 or 0915-3269136. You can also visit www.fib.com.ph , or better yet, drop by the Fruits in Bloom shop at the Ground Floor of Frabella Bldg., 109 Rada St., Legaspi Village Makati. Stay up to date with Fruits in Bloom activities by adding us on facebook (fruitsinbloomphilippines) and following us, fruitsinbloomphilippines on twitter and instagram.